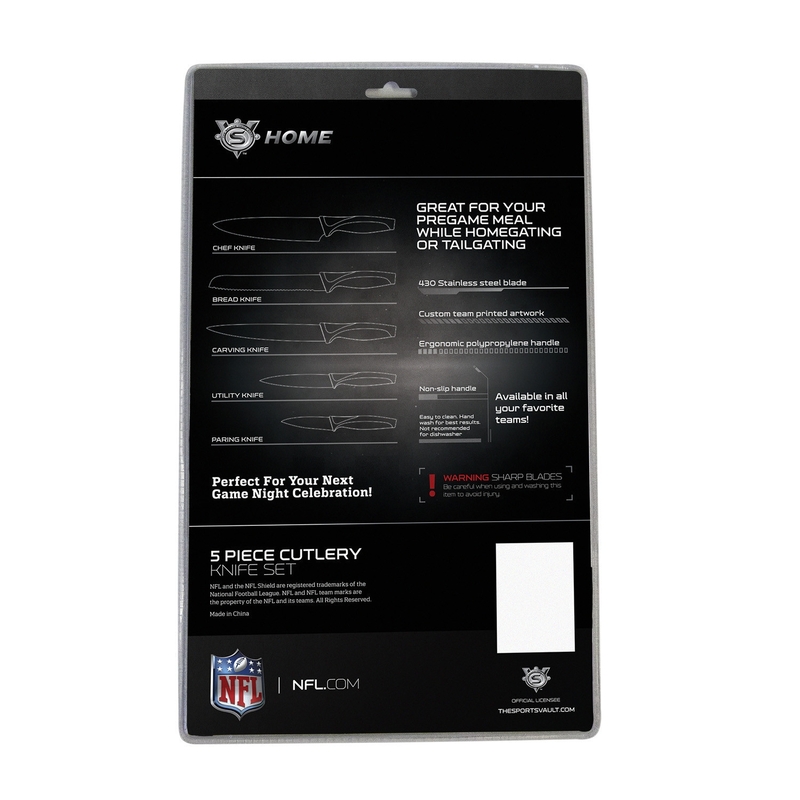 Shine in the kitchen and the grill while repping your team on the field with the Cleveland Browns Kitchen Knives Set of 5. 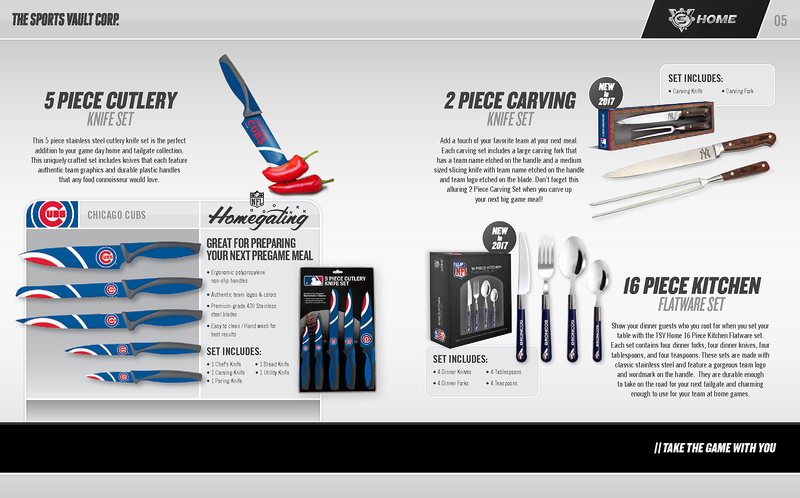 As Nfl officially-licensed items, each knife in the set is designed with expressive Cleveland Browns artwork and the iconic mascot. The Cleveland Browns Kitchen Knives Set of 5 comes with everything you need to prepare your favorite meals, including a carving knife, chef's knife, utility knife, bread knife, and paring knife. The handles are made of polypropylene to prevent slippage and increase comfort. For enhanced durability, the blades are forged from stainless steel, which also simplifies cleaning. 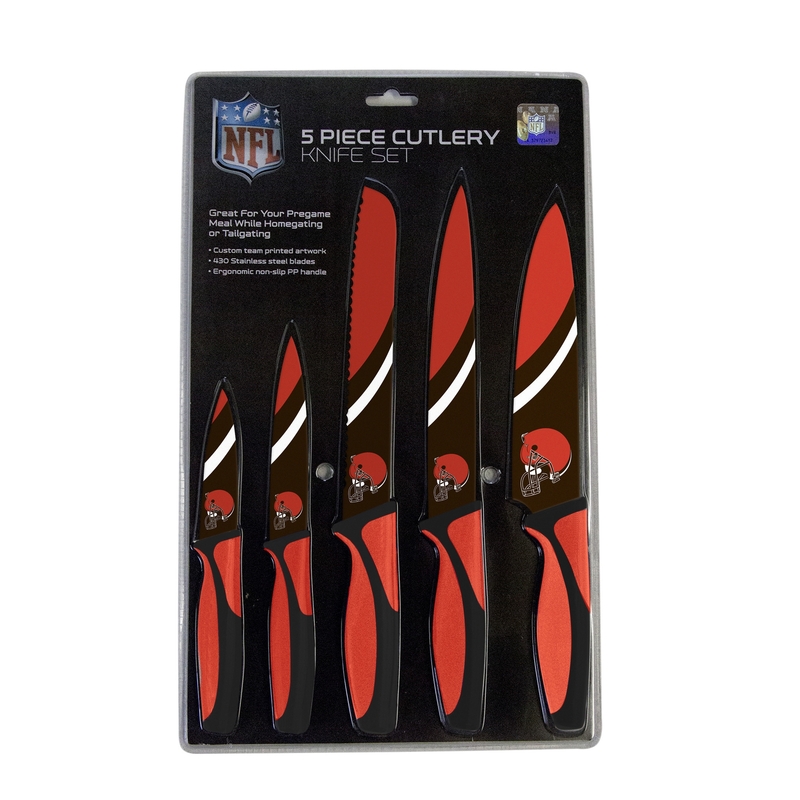 Elevate your next tailgate or football party to the next level with the Cleveland Browns Kitchen Knives Set of 5. 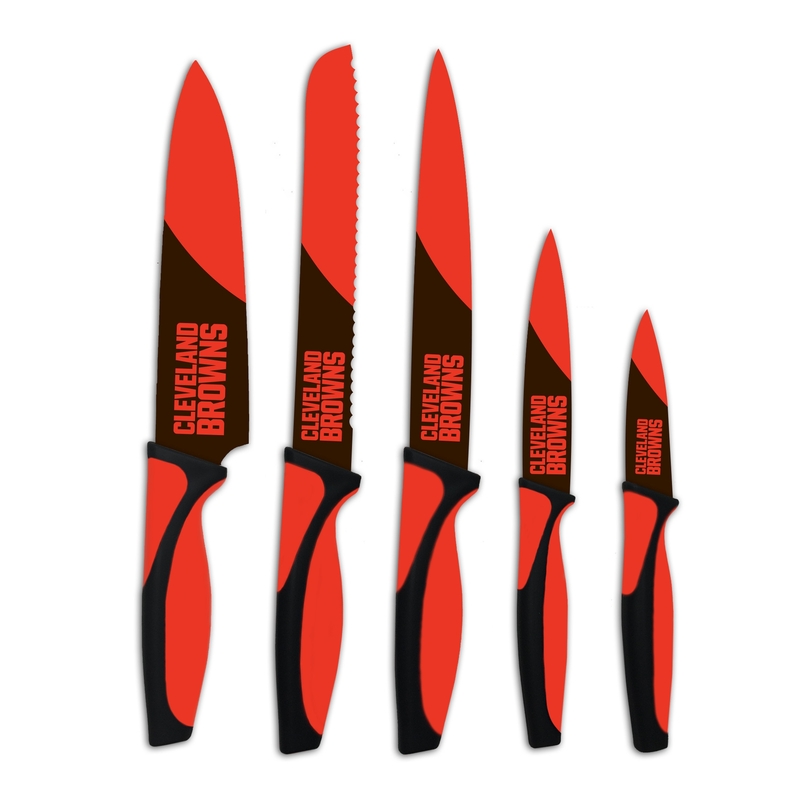 Order the Cleveland Browns Kitchen Knives Set of 5 for yourself or as a gift for your friend or family member.